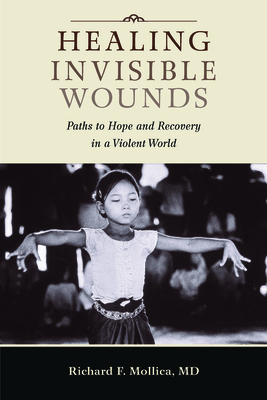 In these personal reflections on his thirty years of clinical work with victims of genocide, torture, and abuse in the United States, Cambodia, Bosnia, and other parts of the world, Richard Mollica describes the surprising capacity of traumatized people to heal themselves. Healing Invisible Wounds reveals how trauma survivors, through the telling of their stories, teach all of us how to deal with the tragic events of everyday life. Mollica's important discovery that humiliation--an instrument of violence that also leads to anger and despair--can be transformed through his therapeutic project into solace and redemption is a remarkable new contribution to survivors and clinicians. This book reveals how in every society we have to move away from viewing trauma survivors as "broken people" and "outcasts" to seeing them as courageous people actively contributing to larger social goals. When violence occurs, there is damage not only to individuals but to entire societies, and to the world. Through the journey of self-healing that survivors make, they enable the rest of us not only as individuals but as entire communities to recover from injury in a violent world.